Sometimes you don’t always appreciate the full context of the biblical books when you read them – but I’ve just been given a fuller appreciation for Paul through his letter to the Galatians. I’m preparing a little teaching series on Barnabas, and I am reading an article on his role in Galatians. In Galatians, you’ll recall, even Barnabas gets sucked in by the Judaizers (see 2:13), essentially leaving Paul – who is young in his ministry – on his own. So think of how lonely Paul felt! He had preached this powerful gospel to the Gentiles, only to have Peter, the other apostles, and Barnabas – the guy who stood up for him after his conversion and partnered with him in his gospel ministry to the Gentiles (see Acts 9:27) – abandon him. In the light of this, I’m sure Paul must have done a lot of wrestling about the gospel he was preaching and the ministry he’d been called to. Paul’s evasion of reference to Barnabas in Galatians, his sorrow and embarrassment over his partner’s defection, highlight his loneliness in the crisis which called forth this letter. This was the first great crisis of his apostolic career. The very existence of a Gentile mission as Paul understood it was called into question, and with it Paul’s own existence as an apostle of Christ on the basis of the Damascus road experience. 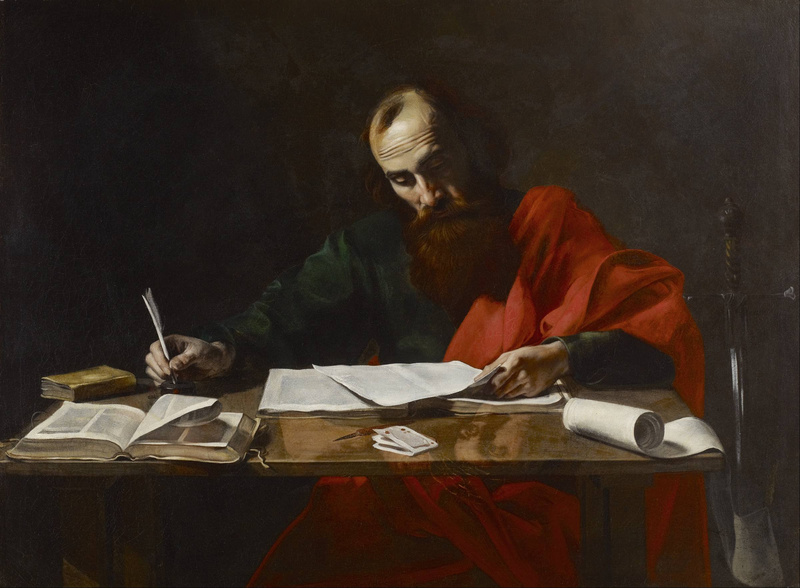 We can scarcely be wrong if we suppose that Paul’s response to this crisis involved an intensification of his apostolic consciousness, such as we find expressed in Galatians. His awareness of direct divine commissioning had determined his activity from his conversion onwards, but in the extreme loneliness of the crisis at Antioch he was thrown back on this as never before, deprived both of the partnership of Barnabas and of recognition from the Jerusalem apostles. Characteristically he finds the validation of his Gospel in his personal experience of Christ, of which he says more only in 2 Corinthians, and his confidence in the “marks of Jesus” with which he is branded Christ’s slave (6:17). Talk about seeing Galatians in three dimensions and highlighting its relevance! And sometimes Paul is viewed as one who was very arrogant and opinionated – but this picture gives me a greater sympathy for him and his situation, as well as admiration for his convictions, even in the face of loneliness and hostility.